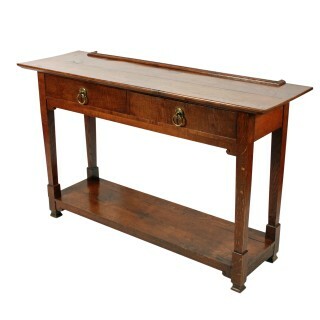 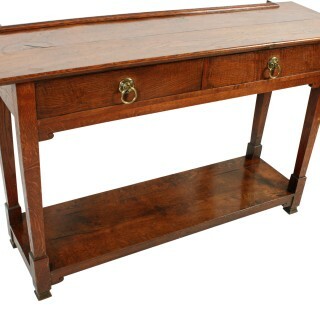 A late 19th century oak Arts & Crafts design oak two drawer side table or dresser base. 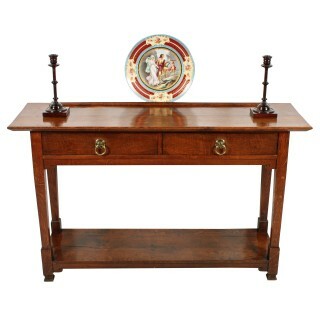 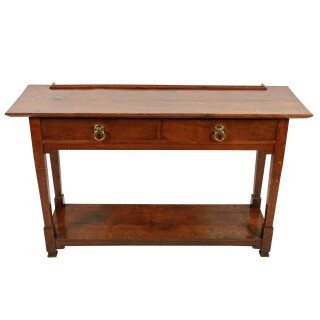 The table has a slim long figured oak top with a moulded edge plate stand to the back edge. 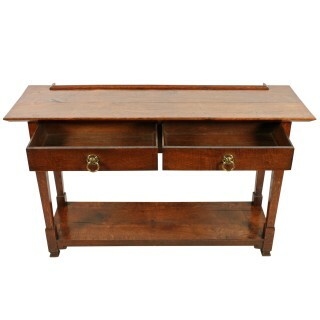 The two drawers have oak linings and a single brass ring handle on each. 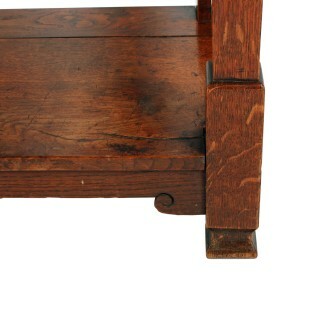 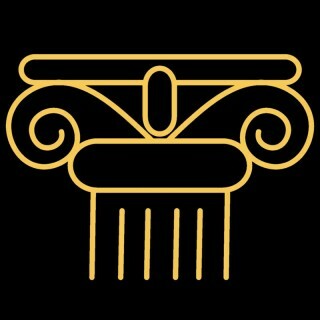 The table has four square but shaped legs with squared feet that are joined at the base by a long shelf with a carved shaped frieze below.